Access to actionable critical lab, cardiology and diagnostic imaging test data is essential for accountable care organizations to advance value-based healthcare. Achieve successful patient outcomes and improve overall population health by interfacing your accountable care organizations’ EMRs and health information technology systems to unlimited laboratory systems (LIS), cardiology and radiology information systems (RIS). As healthcare gets more complex, providers and payers need to interoperate with multiple labs and diagnostic centers for more complete diagnostic data for improved patient care. The large national labs (Quest Diagnostics and Labcorp) represent only 23% of the outpatient testing market. Insurance rules, newer genetic testing, smaller test menus and physician reference are all factors driving this trend. Due to payer contracts and physician choice, providers need to access regional reference labs, local pathology groups, diagnostic and molecular imaging centers and community hospital outreach labs, cardiology and radiology. 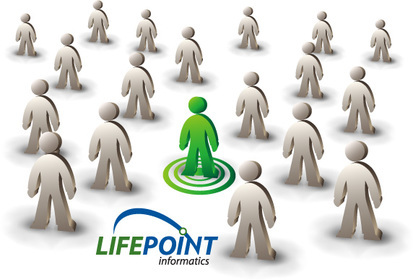 LabHub and EMRHub from Lifepoint Informatics helps your providers engage with multiple labs and diagnostic centers while simultaneously aggregating and normalizing clinical data for sharing throughout your care community. Use the laboratory or diagnostic testing site as a hub connecting otherwise isolated providers along the care continuum and strengthening the relationship between hospitals and physician offices for improved integrated care delivery. ACOs also find that laboratory and diagnostic testing outreach helps them to identify leakage problems for ACOs and helps prevent patients from dropping out of the ACO and seeking for care elsewhere. 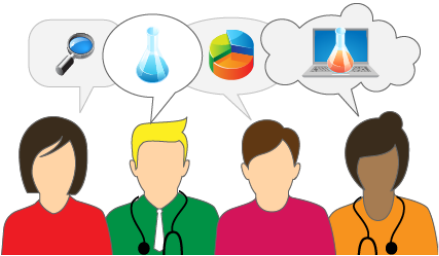 In a Patient Centered Medical Home (PCMH) ACO, or other value-based reimbursement model, the sharing of lab and diagnostic data to support analytics needed for certification, and adding to the compilation of data for patient risk stratification and population health management becomes essential. Access multiple labs, diagnostic imaging and cardiology centers.